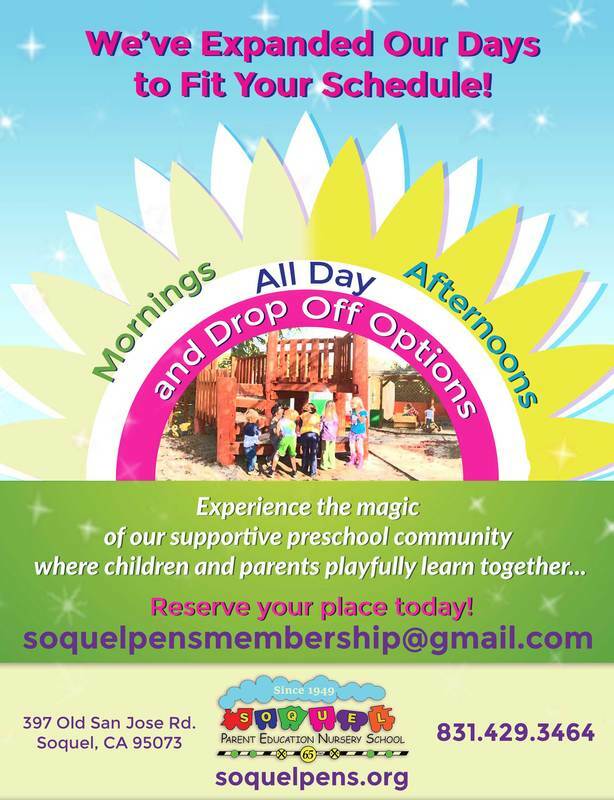 Welcome to Soquel PENS Co-Operative Preschool! The Soquel Parent Education Nursery School is a co-op preschool located in Soquel, California in beautiful Santa Cruz County. We are the oldest co-op preschool in Santa Cruz County. We are very proud to say we've been facilitating parents in understanding what children need for wholesome development since 1949. We encourage you to explore our website to learn more about our school, our programs, and our rich community. 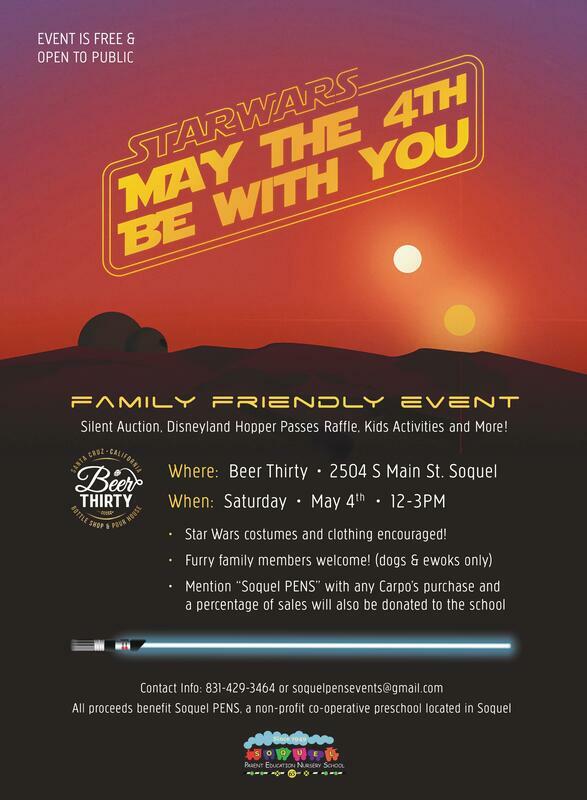 Soquel PENS' mission is to nurture and support the whole family through our unique parent education program. Together we create a meaningful community where children and parents learn side by side. Soquel PENS admits students of any race, color, national and ethnic origin to all the rights, privileges, programs, and activities generally accorded or made available to students at the school. It does not discriminate on the basis of race, color, national and ethnic origin in administration of its educational policies, admissions policies, scholarship and loan programs, and athletic and other school-administered programs.